As far rookie seasons in the broadcast booth go, John Bartlett did an outstanding job as the play by play man for the Montreal Canadiens on TSN Radio 990 (soon to be TSN Radio 690). The newest resident of Pointe Claire sat down with The Suburban last week over lunch at Chez Nick in Westmount to look back on his first year in Montreal. TSN Radio 990 General Manager Wayne Bews was there as well, sporting the same smile he had last August when he introduced Bartlett to us. Here is some of what he had to say. 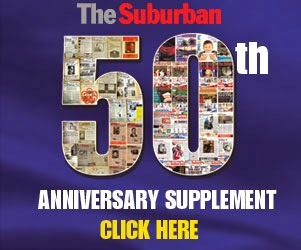 See The June 22 Suburban Magazine for a more detailed feature.